Sourceit is the technology platform used by the Victorian Government to source and manage over 10,000 jobs per year across 300+ suppliers. Check out the video to see what PMU Manager Paul Towsey has to say about sourceit. sourceit manages all your quotes and bids improving user productivity and reducing costs. Each bid is delivered directly back into the quote allowing easy comparisons and analysis. Once approved, jobs can be awarded to the supplier of your choice and an order is instantly created. Sourceit allows users to manage jobs from a single dashboard. When an job or order is created, whether from a quote, inventory or on-demand product order, the entire process is managed from a single dashboard. Act on facts not guesswork. Sourceit incorporates powerful reporting functionality that delivers deep insights into all transactions. 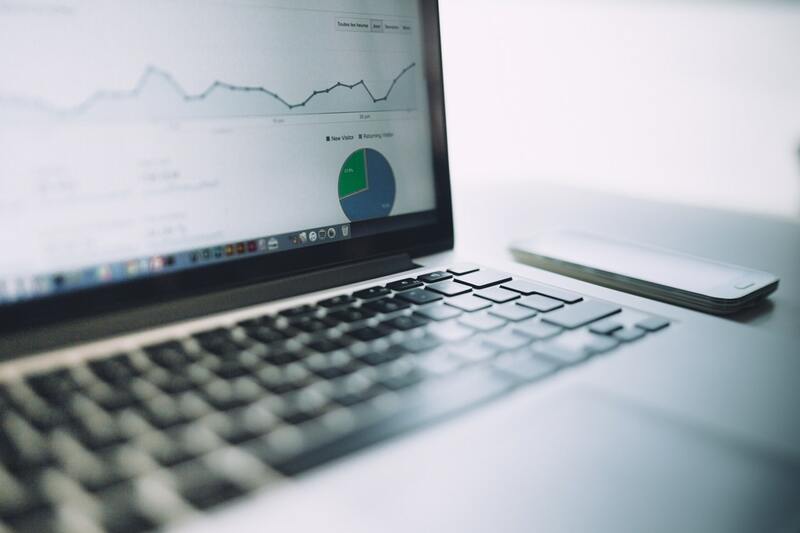 Inventory reporting, cost savings, supplier and spend analytics can be created in your own custom reports, or you can select from our standard templated reports. User productivity is critical so we've created a dashboard that delivers the user instant access to all critical information relating to quotes and jobs. Even suppliers get access to their own dashboard to help them improve how they service your needs. The intuitive specification builder in sourceit leads the user through a series of questions that helps them create an accurate and consistent quote request every time. With over 49 product categories to select, your users will be able to generate quote request quickly and easily, regardless of their complexity. 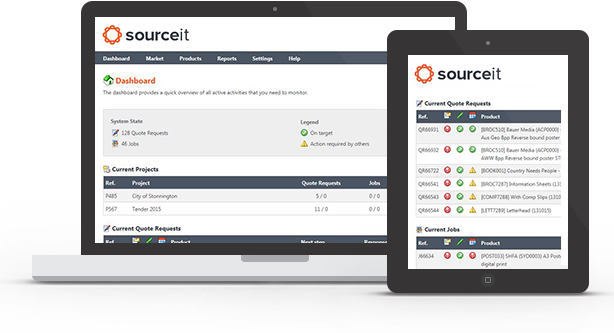 As a user is building a request for quote, sourceit is automatically working to ensure the right suppliers are selected based production methods, product categories, location environmental and CSR classifications. The entire process is fully automated making life easy for your users. Throughout the entire quote and job management process, your users can collaborate online with suppliers and other team members with sourceit's in-build messaging function. It'll help you maintain a single point for all communications ensuring a complete job history is maintained for future reference. it's important that your suppliers receive purchase orders that are accurate, on tiime and up to date. With strict three way matching workflows, sourceit not only automates purchase order creation, it automatically updates the purchase order in real-time as changes are made. When the job is completed and the goods receipted as delivered, sourceit instantly generates an invoice which is automatically sent directly to your customer. No checking, no delays, with three-way matching and automated creation, you'll reduce your debtor days and have invoices that are 100% correct every time sent to your customers. Sourceit has been developed to integrate with virtually any third party application, from finance, to logistics, CRM and WMS systems. Sourceit can also be integrated with your suppliers applications improving quote, job award and management processes. Our open RESTful APIs make it easy for developers. Our users are busy people so accessibility from any location, any device and any time are critical requirements. We work closely with our hosting partner Microsoft Azure delivering services to a global client base that is secure, fast and scalable. No long term contracts. No transaction fees. Easy to change.